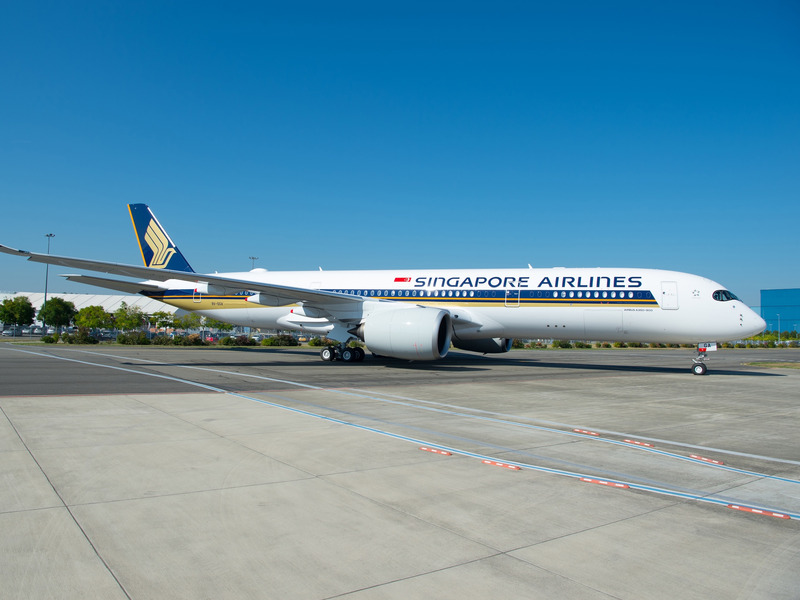 Singapore Airlines relaunched the longest flight in the world in October using the new Airbus A350-900 ULR. Ahead of the inaugural flight from Newark to Singapore, Business Insider got the chance to tour the plane. 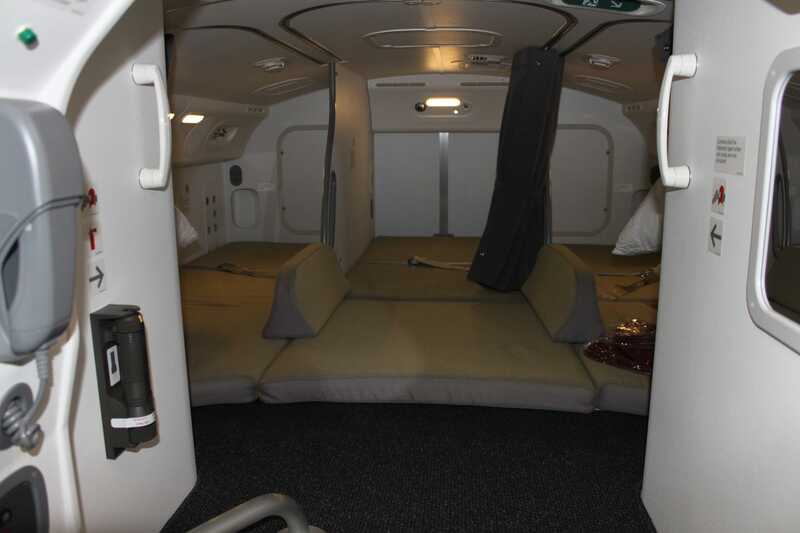 As part of the tour, we were given access to the cabin crew rest compartment. There are hidden areas where flight attendants sleep during long-distance flights. After a five year hiatus, the longest flight in the world is back. 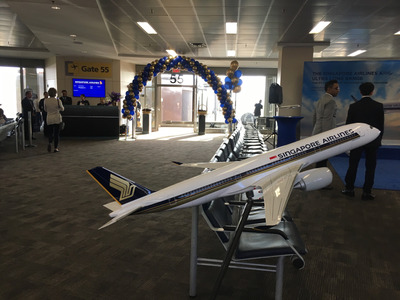 In October, Singapore Airlines relaunched its non-stop service between Newark Liberty International Airport outside of New York City and its home base at Changi Airport. It’s a 10,000-mile flight that could last as long as 19 hours. Singapore Airlines previously operated the route from 2004 to 2013 using the Airbus A340-500. 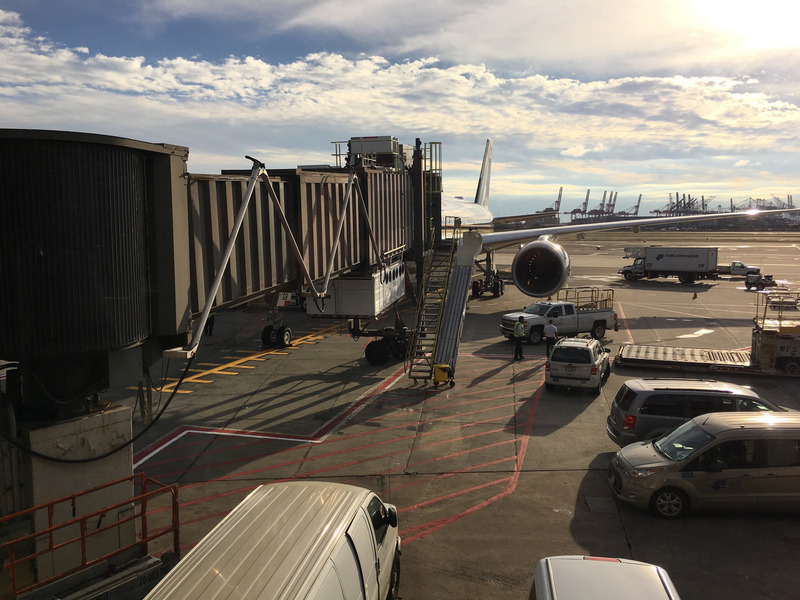 While it has exceptional range and capability, the A340-500 was a relic of the 1990s, and the thirst of its four engines proved too uneconomical to sustain. 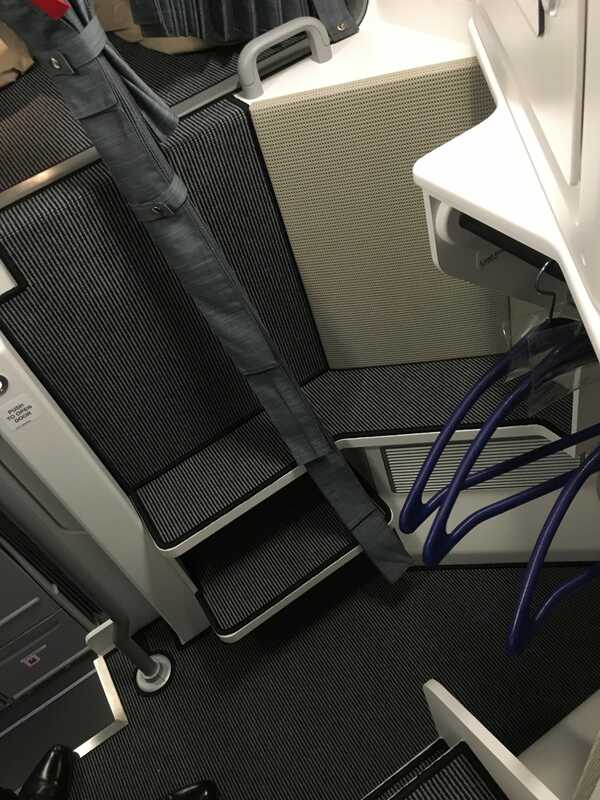 Even a shift to an all-business-class layout couldn’t generate enough income to save the route. Fast forward to 2018 and Airbus has an all-new jet set to take on the daunting flight. The return of Singapore Airlines Flight SQ21 and SQ22 also marked the official debut of the Airbus A350-900 Ultra Long Range or ULR. 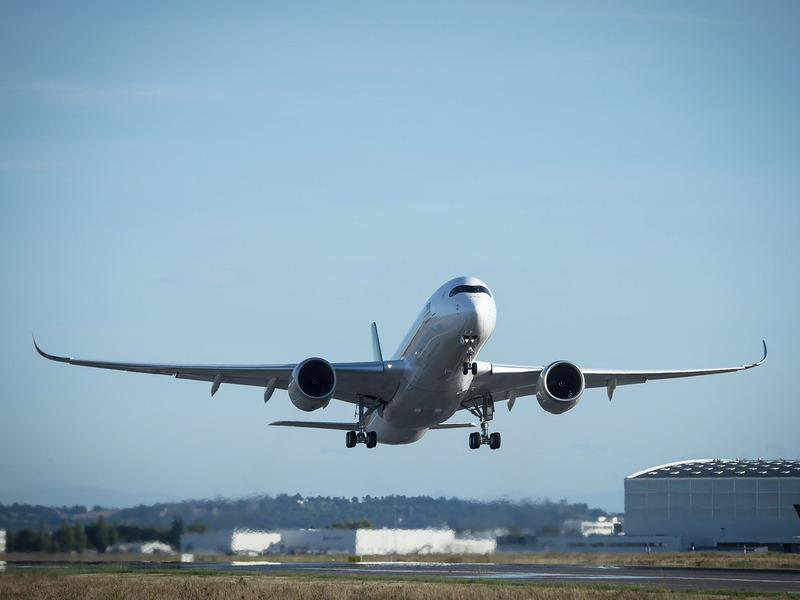 The ULR is based on the Airbus A350-900 that entered service in 2015 with Qatar Airways. But, this modified variant is brand new. 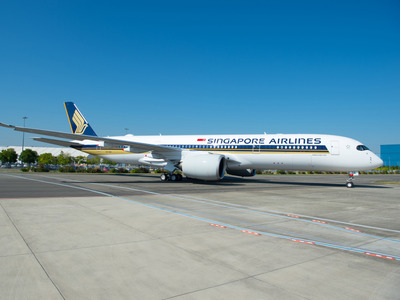 In fact, the first ULR wasn’t delivered to Singapore Airlines until the end of September. 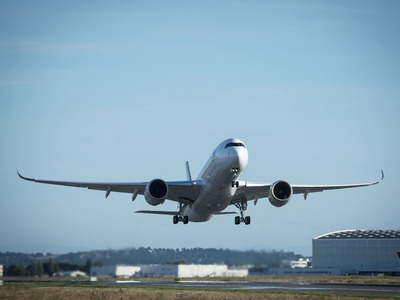 The biggest difference between the standard A350-900 and the ULR is its range. Airbus managed to cram an additional 6,300 gallons of fuel into the plane’s tanks. The result is an increase in range from 9,300 miles to as much as 11,100 miles. 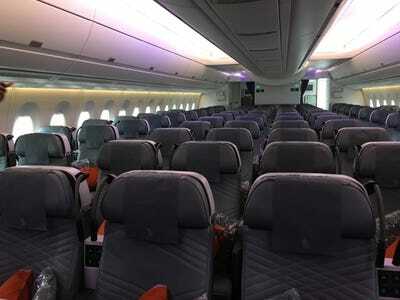 Business Insider had the chance to experience the inaugural flight from Newark to Singapore. 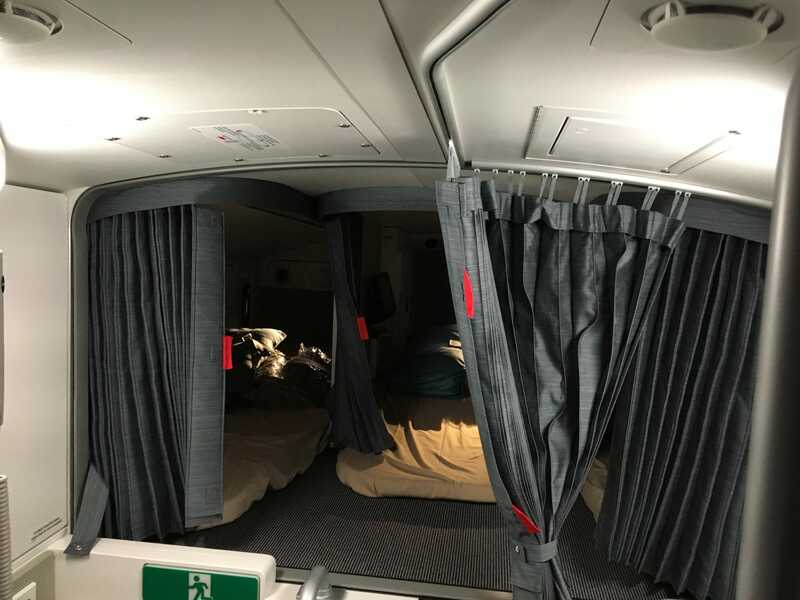 Even with the creature comforts of business class and Singapore Airlines’s impeccable service, it was a long and tiring flight. 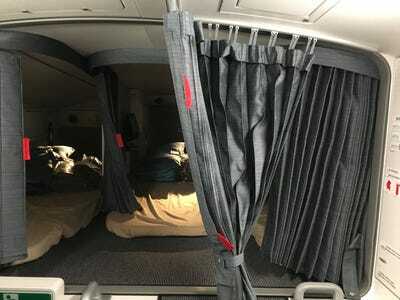 Which means the trip is certainly a challenge for the flight’s crew. Fortunately, long-haul airliners like the A350 comes equipped with crew rest compartments that are strictly off-limits to the general public during a flight. 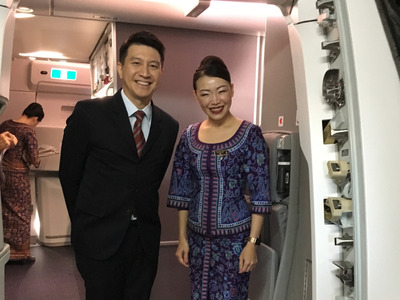 Singapore Airlines gave Business Insider access to the flight attendant’s rest compartment on board its new ULR aircraft ahead of our flight. Check it out. Several hours before our flight to Singapore, we met up with airline officials at the boarding for a tour of the new Airbus. Here it is parked at the gate. Sadly, this was the best view of the exterior we could get. The is what the A350-900 ULR looks like when not obstructed by a boarding gate. After boarding, we make our way towards the back of the cabin. Past the premium economy seats. 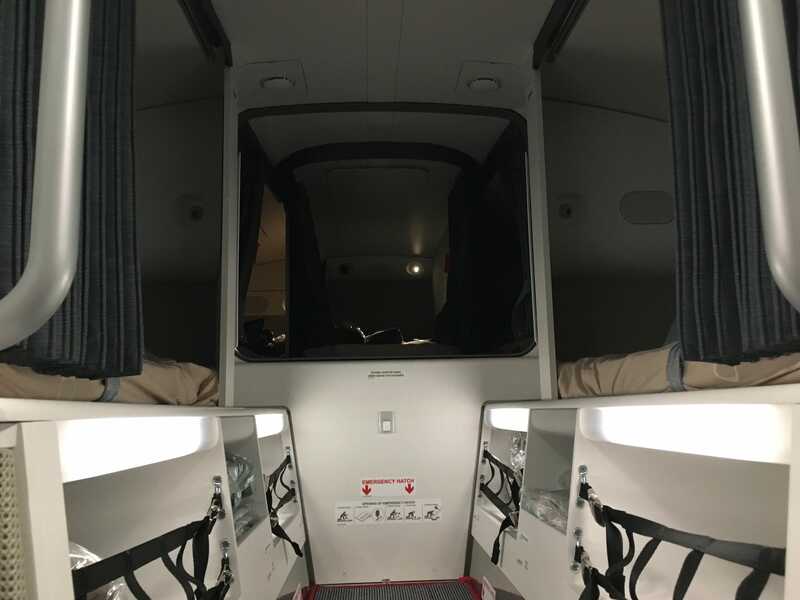 Tucked away above the rear passenger cabin is the cabin crew rest compartment. You enter by climbing up a ladder through a smaller passage way. 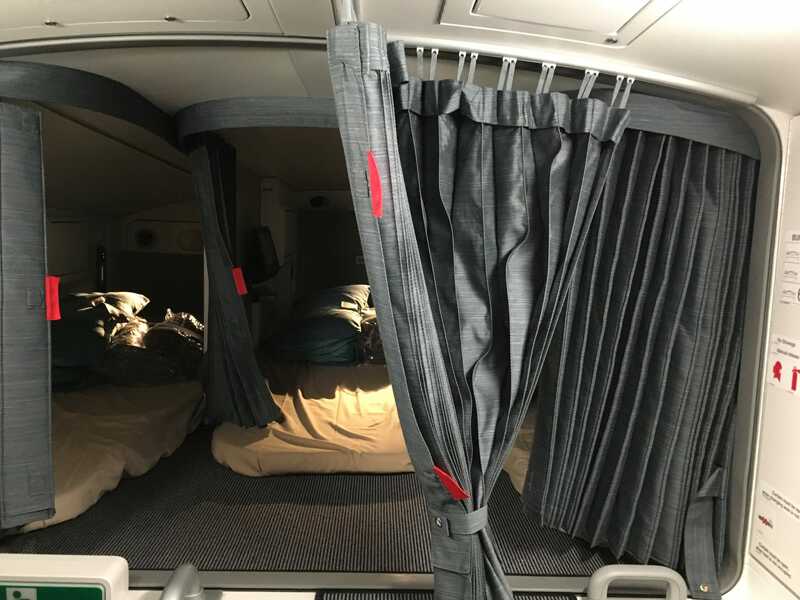 From which, you emerge onto a platform where you can hang your clothes before climbing up to the bunks. Here’s a look down at the platform. 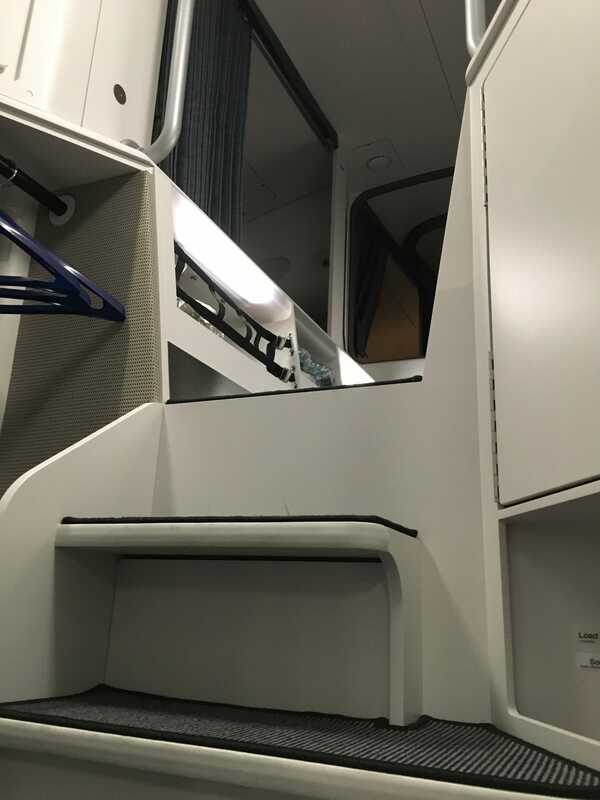 In front of you is a small corridor with five bunks. Along the corridor, there are storage areas for bedding and blankets. On the other side of the compartment, there are three more bunks. In total, there is room for eight flight attendants at a time. This compartment is just for flight attendants. 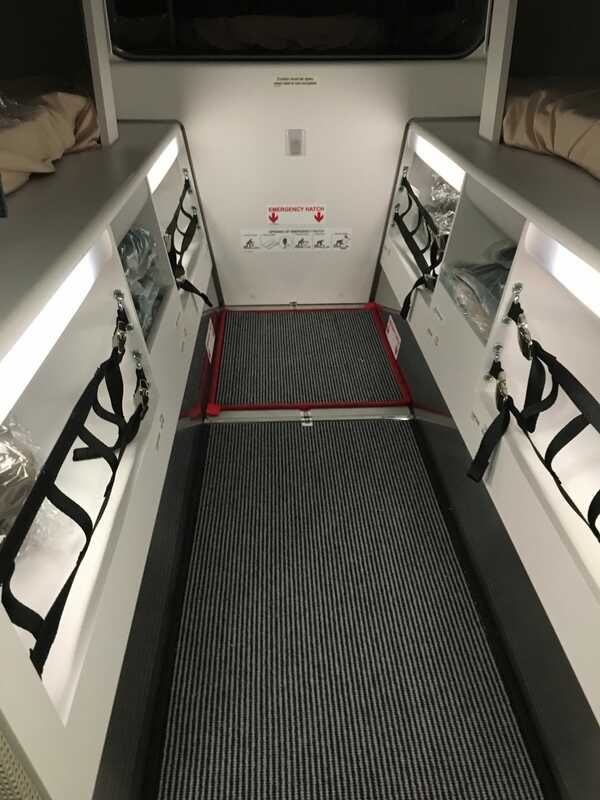 Pilots have a separate rest compartment at the front of the aircraft. 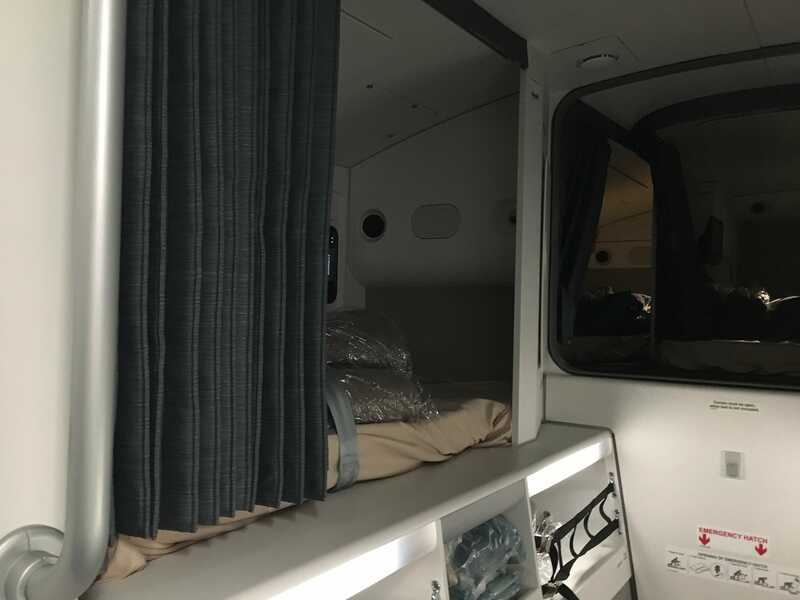 Each bunk is separated either by physical partitions or curtains. 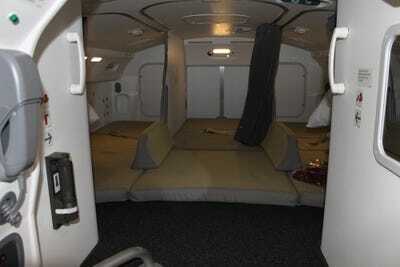 Inside, each is equipped with reading lights and entertainment systems. 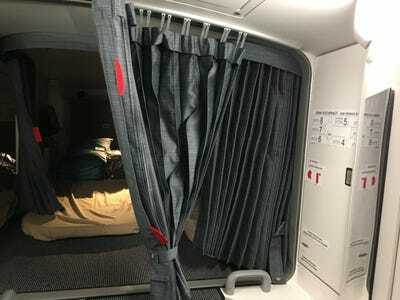 The Airbus A350 crew rest is not unlike the Qantas Boeing 787-9 Dreamliner crew rest we explored in 2017. 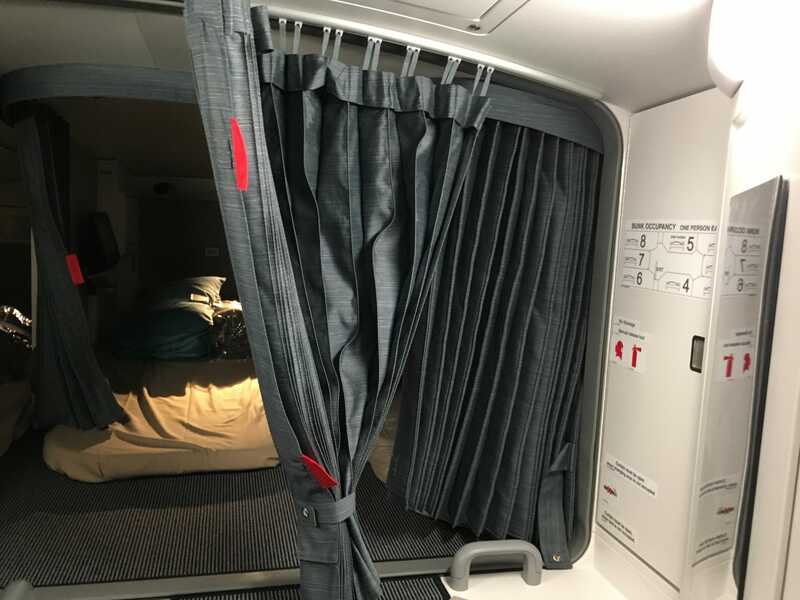 You can read about the Qantas Boeing 787-9 Dreamliner pilot and flight attendant rest areas here.